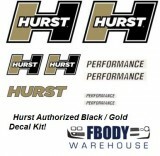 A full line of new replacement Stencil & Decal Kits for your 1967 1968 - 1969 F-body Camaro, Firebird, or Trans Am. We offer a full line of kits including the Pace Car decals kits and more! We offer Phoenix Graphix products which we feel are the best in the industry!